Our body communicates its wisdom to us long before our conscious mind can get a word in. That’s why body signals are sometimes called our ‘early warning signs’, and they are an important key to staying safe, and building social and emotional wellbeing. How are body signals different from body language? What do we mean by body signals and how are they different from body language? ‘Body language’ is a term that has been around for quite some time. A cursory search through the internet reveals a plethora of material about ‘body language’; how it is essential to communication and how so much of what we say is communicated not by words but by gesture, posture, facial expression, stance and other aspects of non-verbal, physical behaviour. The human body is an extremely sensitive instrument. People can pick up subtle changes in personal relationships, in temperature and in atmosphere. We notice changes in tone of voice, facial expressions and gesture. This sensitivity to the language and tonal energy of the body is a highly sophisticated part of what it is to be human—it is at the heart of how we build connections with others. While body language sends powerful ‘signals’ to others, this is not what we mean by the term ‘Body Signals’ in our card set. A body signal—or a cluster of body signals—is the physiological response of the body to something in the internal or external environment, whether it be a perceived threat or something quite the opposite such as pleasure or comfort. Body signals are visceral responses such as blushing, goose bumps, palpitations, butterflies in the tummy, constricted throat, perspiration, trembling. In creating this card set we discovered how difficult it is to be cut and dried about where a ‘body signal’ ends and where ‘body language’ begins. They go together. A body signal such as a fluttery, nervous tummy may easily result in a gesture such as rubbing your tummy, or an expression such as a frown. So, while the forty Body Signals® cards focus on body signals, you will also be able to identify aspects of body language such as gesture, expression and posture. These factors can be used to add layers of richness to your conversation with people about body signals. 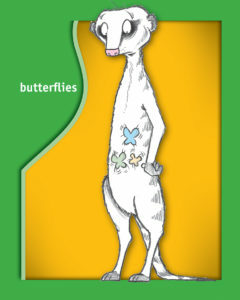 The Body Signals® cards are designed for having conversations with children, young people and adults about body signals. Such conversations help people recognise what their body is telling them, and become more skillful at interpreting and acting on the message in an appropriate way. The action required may be as simple and yet as significant as: ‘Tell an adult you trust.’ For example, tell an adult such as a teacher that your tummy is in a knot at school and you need some help. Wow…..is this card set for sale? Hello Peter, nice to hear from you! Yes the card set is available for pre-sale. We hope to have the cards print ready by the end of this week, so not long before we will have heaps of them. You can order now to be one of the first to get them. This sounds really great, as does the self care cards soon to be released. I have been teaching self care to counsellors and using a somatic approach to self reflection for over a decade and am very excited to soon be able to add these tools to the toolbox. Thanks! Thanks Lyn, not long to go now! The body signal cards are just what I need to assist with my clients as to do the self care cards as mentioned above. Please let me know when the cards are ready. Thank you Anne, we think they will be very useful too! Not long to go, just a few more weeks. Like Peter, I am very keen to get my hands on the Body Signals Card set please. Please let me know as soon as they are available for purchase. You can order them now and receive them in about three weeks. You should see the drawings, they are amazing! do you have any more photos of whats on card to see if they will work with kids? They are designed very much with children in mind. How do we pre order these cards? just go to the ‘Resource’s drop down list, select ‘coming soon’ and then click on ‘Body Signals’. This will take you to the product page and you can add to your shopping cart from there.